What garden is complete without a comfy seating area available to relax and unwind during the warmer months? 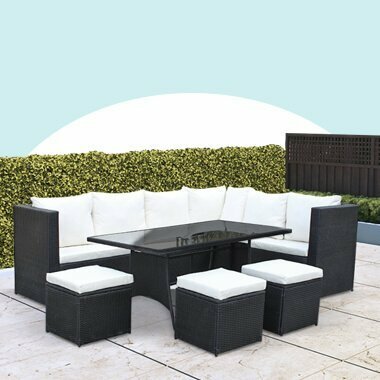 Whether it be a garden seating sofa area complete with a coffee table or a dining table and chair for a barbecue area. All types of outdoor seating areas would benefit from a selection of rattan garden chairs. But why choose a rattan garden chair rather than a metal or wooden garden chair? Rattan is low maintenance and a lightweight method of construction. This means you can easily move the garden chairs around the garden when needed. Ideal when wanting to put the rattan garden chairs into storage, or when likely to regularly move your furniture around the garden. Furthermore, another huge advantage of rattan garden chairs is that it is easy to clean and maintain, making rattan chairs the perfect barbecue companion.